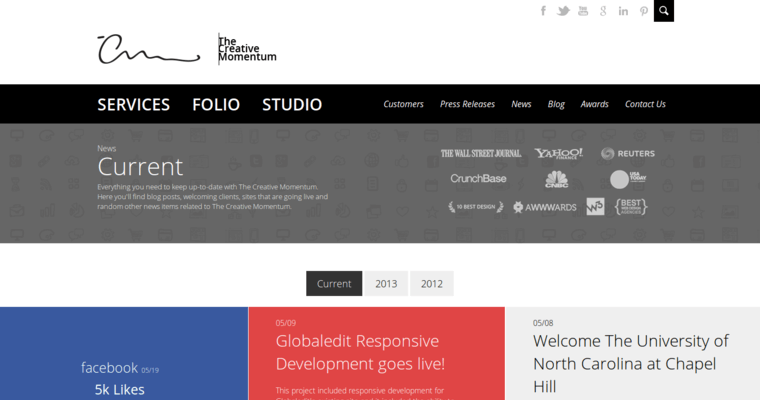 Based in Roswell, Georgia, The Creative Momentum believes in building websites that emphasize a positive user experience because this is key in converting visitors into leads and customers. They accomplish this through a combination of stunning visual elements, efficient coding, a simple information architecture and compelling content. You can also be sure that any website they create for you will be responsive and customized for your particular business and brand. Their sites will have integrated forms as well as a content management system. They'll conduct extensive usability testing on your site before they launch it because they realize that your name and reputation are on the line. 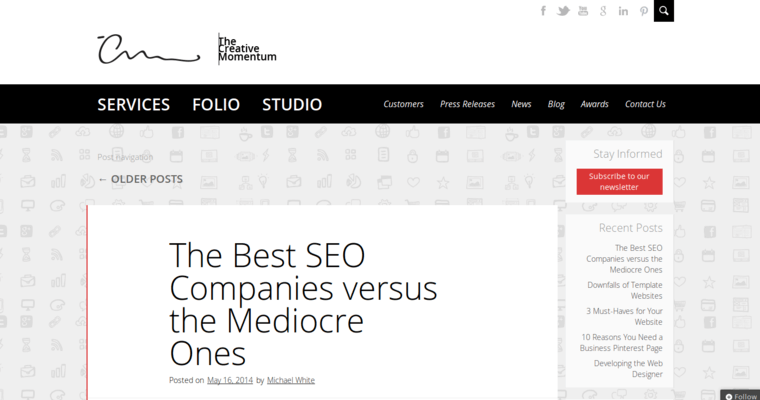 Their own website has an impressive portfolio of work they've done for just a few of their many clients. 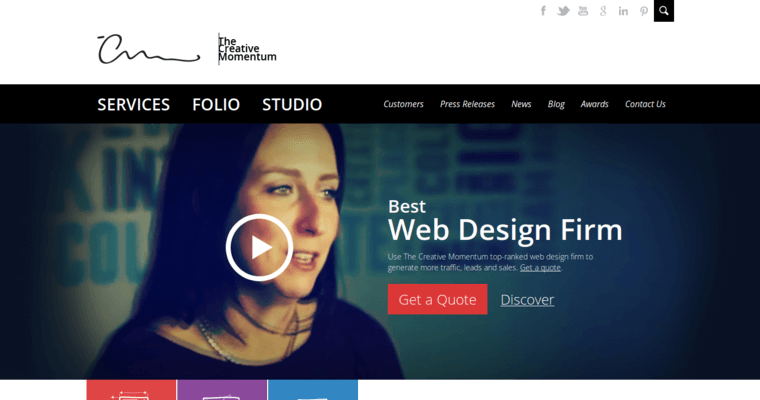 Beyond web design and development, the team at The Creative Momentum can help with video production, graphic design, SEO, inbound marketing and paid advertising.